Star Wars. Nightmare on Elm Street. Indiana Jones. All of these long-running film franchises have something in common with this episode: they’re all ongoing tales of intrigue with some scary moments. For the third time in a short period of time, hosts Tim and Stephen are offering a sequel-like commentary on Stephen’s series of recent losses. Stephen experienced a series of losses, and now, the hosts are getting to the bottom of his errors so that he can reclaim his trading mojo. In the episode, they’ll dissect what happened, what specifically went wrong, and how Stephen can save face and regain his trading composure. Stephen is in a pretty low place right now, but there’s no way Tim is going to let him quit. Like an addict admitting defeat, Stephen shares how he’s feeling as a trader right now, and it’s not good. He’s had some ups and downs in trading, but now he feels that he’s hit rock bottom. He’s lost a lot of confidence and feels like his go-to patterns have abandoned him. He’s out of the zone; he used to be able to have a few beers and pop out a few good trades; now he feels like he can’t do anything right. As Tim points out, it may not be Stephen’s setups that have stopped working; it could be a market shift. The market is cyclical; things that once worked sometimes stop. As Tim points out, this could mean that the old way will come back around again, or that it’s time to adapt to the market. Let’s briefly recap Stephen’s trade of terror. 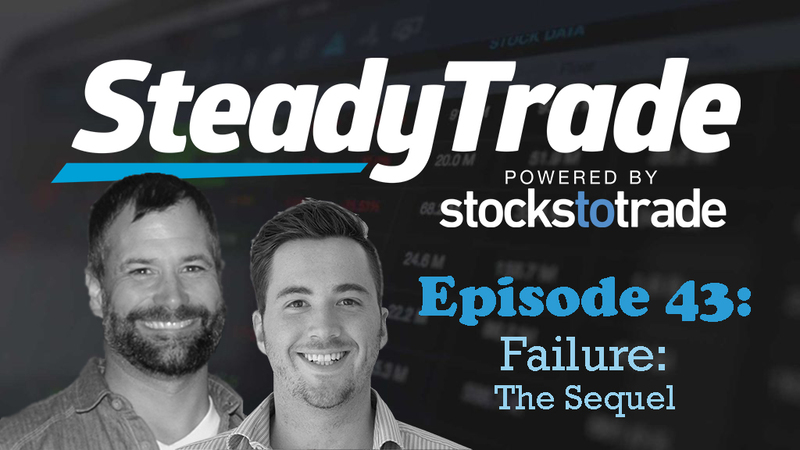 It was a colossal loss short selling a day one low float stock with news (don’t worry, Tim and Stephen explain what that means in the episode). As Tim explains, Stephen broke many cardinal rules going for this trade, including shorting too early rather than on the “backside”. However, in falling prey to the temptation of the trade, Stephen put his hand on the fire and got burned. Tim is quick to admit that while Stephen broke some rules, it’s understandable why he went for the trade. To set the scene, it’s Monday morning; you’re excited to trade. Here you have a low float stock with news and a contract win. It’s gapping up, and then the volume comes in…the trade lures traders in. But then, it rolls them over. Stephen was lured in. He thought he did all his homework: he worked up the numbers, and he really thought that they were encouraging. Tim and Stephen discuss how while Stephen did do some things right, there were many warning signs that he ignored; basically, he set himself up so that it was difficult to get out of the trade. He wanted it to work so much that he ignored the basics. They talk about trading psychology and how sometimes, doing your due diligence isn’t enough: you can’t make certain trades work. Start small. First, try to have one green trade. Then, one green day. Then, one green week. Slow but steady. Go back to the basics. Really analyze the data; create and stick to a trading plan; play it safe. Regain confidence slowly. By taking smaller positions and being very careful and methodical in trades, Stephen hopes to work toward a greater sense of self-confidence again. This is Stephen’s hero’s journey. Right now, he’s cast out and experiencing the moment of darkness. These things happen to our hero, but it’s how our hero responds to this adversity that makes the story. Tim believes that Stephen truly can turn it around. 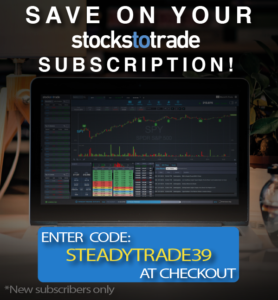 Do you have questions about this episode or a trading related topic? Visit the “submit your audio” portion of the website to ask us anything. You may be featured in an upcoming episode! Stephen, you ARE a hero!! You are my hero! I have no doubt that you will pull yourself out of the dark place you find yourself in right now, no doubt!! That’s what heroes do! And I am sure you have tremendous support! You sure have mine! Thanks a bunch for this, guys. Stephen/Jeevan – Your journey is watched by many and if you quit you’ll take out a lot of people with you. You help us by finding your way through your dark time. If you can do it, we can do it. To paraphrase Princess Leia, “Help us, Obi-Wan Kenobi. You’re our only Hope.” (Guess that makes the bearded Tim Bowen Chewbacca). Tim’s story about the diamonds is so perfect for ANY business. I’ve built many successful businesses in my life – simply because I NEVER give up. And I see people around me quitting all the time. And all they had to do, was just to go on a bit longer, and walk that extra mile….. I can see and even feel your pain! Just keep going, and it’ll be worth it!!! Thank you for such a great Podcast again. I am sure Stephen can turn it around as I can see that you Tim will always help him along and get him back on track. I am only new and I can see how studying the current and past is key to success but it’s also about confidence when actually trading as well. But a huge thank you guys for being so transparent as well and I learn so much from my studying and a huge amount from these fantastic podcasts as well. Keep going Stephen, you will get back on track and figure out what your problems, you have lots of support from a great community. Thanks for sharing!